A bike ride can mean fresh air, good health, and community spirit. 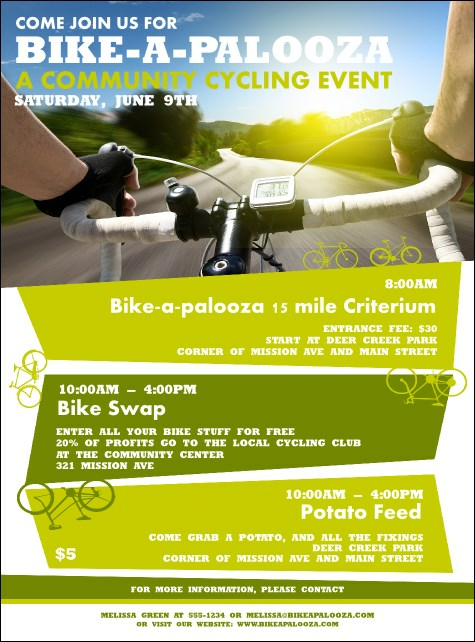 Share your celebration of cycles with the Bike A Palooza Flyer. Fresh green blocks highlight event details, with an image of an open road viewed from the handlebars on top. Enter your event information in the easy template below and we'll send them your way!